Without proper care, your gums can develop harmful inflammation (also known as gingivitis) and eventually, a higher risk of gum disease. However, these problems can often be avoided with simple routine maintenance. In fact, three daily habits, along with regular dental cleanings and visits with a dental professional, can help safeguard your gums. Brushing Your Teeth: When you brush your teeth, you help reduce the severity of plaque buildup. Doing so decreases the risk of gum inflammation or of gingivitis progressing into gum disease. You should brush your teeth twice a day for at least two minutes each time. We suggest using a manual or electric toothbrush with soft bristles to avoid irritating the gums or damaging enamel. 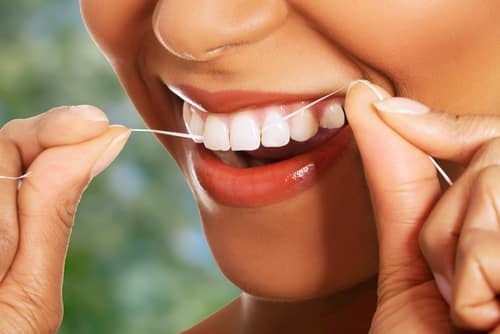 Flossing Properly: You should floss every night before you go to bed. When you floss, you remove the food particles caught between your teeth, which a toothbrush may not reach. Removing the bits of food from between your teeth is vital for avoiding increases in oral acidity and plaque buildup due to bacteria breaking down food particles. You can use floss tape or a pick, whichever is more comfortable for you. Eating/Drinking Healthier: In addition to brushing and flossing, your diet can help reduce the severity of plaque buildup in between your dental cleaning visits. Cutting back on food and drinks high in sugar and other starches will help deprive harmful bacteria of food to break down. If you have any questions about caring for your smile or what you can do to protect your gums from gingivitis and periodontal disease, then contact our office today. From preventive treatments to advanced technology, we can help safeguard your smile.